The Irregular Choice Stars At Night is definitely a shoe with the WOW! factor featuring navy blue velvet fabric and a stunning embroidered cat and moon design, this lovely style is simply dreamy. 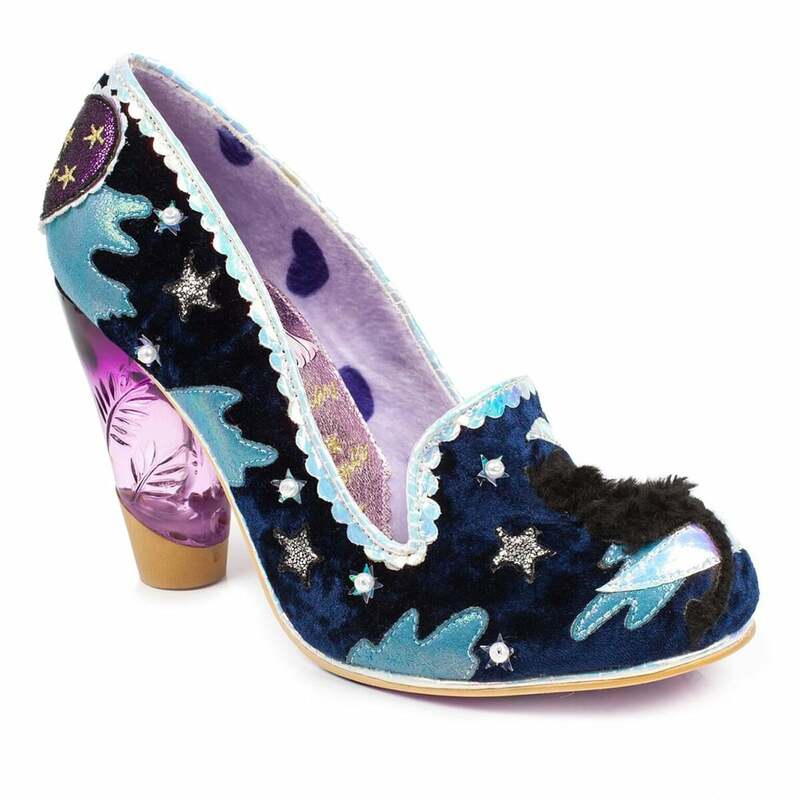 Edging the Irregular Choice Stars At Night is holographic piping. The Irregular Choice individuality doesn't stop there. Stars At Night has an unusual see through, cylindrical heel rising from a gold heel cap and decorated in stylised leaves and a flower. Inside, this beautiful court shoe is lined in fluffy pink fabric decorated with purple hearts. With their great attention to detail, Irregular Choice have even thought about the sole and covered it with cats and butterflies. Wearing these Irregular Choice court shoes is enough to make anyone instantly fall in love.